Tomorrow Arsenal have a chance to go half way to avenging a pair of results that happened against West Ham a decade ago. In 2006, West Ham became the last team to beat Arsenal at Highbury, and followed that up with becoming the first team to beat us at the Emirates. This lead them to have 10 years of singing at us every game “Last team at Highbury, first team at Emirates”. It is a song that cuts deep. No matter how many trophies you win, something like that pair of results, for a football fan, is above that. Arsenal fans have no retort to it. The only thing in football that is similar is clubs being able to sing “Where’s your European Cup”. So tomorrow we play West Ham in our last ever visit to Upton Park. And it will be a sad day. Whilst West Ham’s ground is horrible, small and in a dump of an area, it is a proper ground. One that there are very of left, not just in the Premier League, but in football in general. At the heart of the community, surrounded by terrace houses, it is a reminder of yesterday, when clubs cared about their fans. When the stadium was built and grew alongside the area it was in. The stadium was the beating heart of the community. Since the Taylor Report, every year another club is moving stadium. There are now so few like Selhurst Park, White Hart Lane, Goodison Park & Upton Park around now. Instead, we have a lot of identikit soulless bowls, often on an industrial estate on the outside of the City or Town. No longer part of the community. The stadiums have become detached, symbolising the detachment of clubs and players from the fans. And at the end of this season, we lose another one in Upton Park. With the aforementioned terraced houses surrounding it, the tight alleyway away fans have to walk down to get to it, the closeness of fans to the pitch, the chicken run, 4 separate stands. It reminds me of Highbury. It makes me miss Highbury. And then next year they move 3 miles up down the road to the Queen Elizabeth Olympic Stadium in Stratford. Whilst in normal terms, 3 miles is no distance whatsoever, in London terms, and more importantly in football terms it is a life time away. Arsenal only moved 500m, yet it changed the landscape of Islington on a match day. No longer way Blackstock Road the place to be. Holloway road became the new drinking port of call. Blackstock Road is now a ghost town on match day, with only a few old boys hanging on to memories past. So what for Stratford? Where to drink? The Cow in Westfields? Or go down to the boozers on the Broadway? Bet the casino will be fun after a match day. West Ham will probably make use of the land around the stadium on match day and put up beer tents like Twickenham does for the rugby. It just won’t be the same for those fans who have been going week in, week out for 20 years. And then the stadium itself. Yes, as a building, it is an improvement on Upton Park. But like all Arsenal fans will tell you, it is OK buying a mansion, but it will never be the same as the family home. Next year at the Olympic Stadium, fans will have to bring their binoculars to see the game. West Ham fans, a word of warning, you might be excited about the move, like many Arsneal fans were in 2006, but just ask fans of almost every club that now have to go to a soulless bowl on an industrial estate 2 miles out of fan, is it worth it? They will say no. A lot of the pre-match talk has already been, and will be, about Dimitri Payet. A fabulous player that shows you can still grab a bargain abroad. At the time I felt Payet to West Ham was odd. This was a player who had created more chances than any other player in a top league in Europe over recent years, and here he was, going to West Ham. Why wern’t anyone else interested in him? His age played a big part, he is 29. So many clubs look at resale value when buying a club. It is hard to buy a 28 year old (as he was at the time) and hope to get any money back for him. Then take into account that he had spent his entire career in France. Whilst he had performed for many a year, twice being named in Ligue 1’s team of the year, it did present a big risk, taking a player out of a smaller league with no resale value. It could go horribly wrong. Think Gervinho. But here he is, as a key member of West Ham’s Champions League qualification side, scoring free kicks for fun. Everything go’s through him. It has lead to West Ham fans stealing Arsenal’s song about Mesut Ozil and rewording it for Payet. I have no issue with it as almost every song is stolen from another club, whether it be at home or abroad. I was at Burton Albion v Oldham over Easter and the Oldham fans were singing Ozil’s song about one of their players! Yesterday, the journalists had some fun with some Arsene Wenger quotes about Payet. He confirmed he was a player the club had watched. These days every top club has watched every half decent player in every league around the world. A side like Arsenal will have a scouting network of 100s. As do Manchester United, Barcelona, Bayern Munich. Every player get’s watched. Wenger mentioned he did not go for Payet as he felt he had sufficient quality in his position at the club. 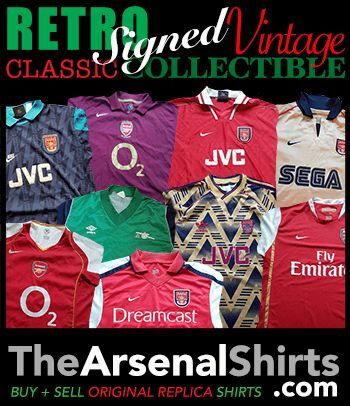 Listing Mesut Ozil, Santi Cazorla, Jack Wilshere, Aaron Ramsey. And of course, he is right. Imagine the outcry of the fans had we, in the summer, signed Dimitri Payet, another diminutive play maker. We would have screamed that he is clueless. That we already have Ozil, Cazorla and Wilshere. And that it was typical Wenger, buying an unknown Frenchman to take the place of an Englishman in Jack Wilshere. Instead, 9 months on, the story is being written by the manipulative English press that Wenger decided not to sign Payet due to having Jack Wilshere, who has been injured all season. No mention of the other 3 in the squad. Just focus on Wilshere. Especially after he has been in the press this week for misdemeanours. Further proof Wenger has lost it, people cried. Not signing Payet as he backed Jack Wilshere. Well that is not true. He backed Ozil, Cazorla, Ramsey & Wilshere. And to repeat the point. Would you have been annoyed in August if we had sold Wilshere to Manchester City and signed Dimitri Payet? If you answer yes, then you can not really dig out Wenger for not making the move. Football is an easy game in hindsight. So Saturday will be built up as Ozil v Payet. I always find these sort of battles interesting. As the reality is, on the pitch, the only time they will be near each other is to swap shirts at full time. 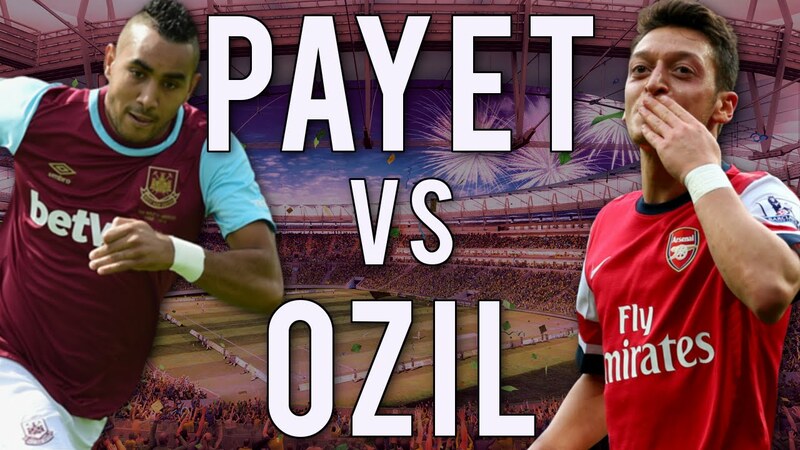 The more important battle will be Ozil v Noble, Coquelin v Payet. We need Coquelin to be on his game, and helped out by Mohamed Elneny. Shadow Payet for 90 minutes. Do not let him leave your sight. And let Elneny deal with the rest of the midfield. Perhaps most importantly, do not give away a free kick within 35 yards of the goal. Payet has been finding the postage stamp recently. He is a danger, whether shooting or putting a ball in like he did in the opening game against Arsenal this campaign. Coquelin v Payet, I am backing my boy Coquelin. And if we win, and we do have a great record at Upton Park in the last decade or so, we will be half way to putting the ghost of 2006 to bed. We might not become the last side to ever win at Upton Park, they have a few more home games left, including Manchester United twice, but at least personally, Arsenal would have won their final game at Upton Park. This entry was posted in Arsenal and tagged Arsenal, dimitri payet, Jack Wilshere, Mesut Özil, olympics, She Wore, She Wore A Yellow Ribbon, West Ham on April 8, 2016 by keenosafc. West Ham stealing Arsenal’s song.. I won’t bite but I guarantee you won’t out sing us with it tomorrow. Secondly the soul less bowl you mention, your fans don’t sing at home. I’ve been to the Emirates 3 times and it’s dead but it was the same at Highbury. When we move it will be different and I fear it will be a quieter due to the shear size of the stadium. But I do know it’ll be louder than what you get. it’s amazing that there are still fans of clubs who firmly believe that their home support is the best & loudest in the world.it’s a myth.the Geordies,scousers,mancs grounds all as quite as a graveyard at lengthy times during any match & particularly when their under pressure.yet talk to them & they’ll never agree.it is no different at the boleyn.the same with highbury.but it had the misfortune to rhyme with library.perfect for opposition fans to look for an excuse to slag a club off.as for tomorrow.will be sad to see end of boleyn.expect game to be played like an fa cup tie.& lot’s of fouling from kouate & nobby noble in particular!